Static Seal Vs Dynamic Seal, - What is static seal, static sealing is using gasket seal, rubber seal and seal and contact seal technique, predominantly gasket seal, pure static. Dynamic seal can be divided into two categories: rotation dynamic seal and traverse dynamic seal. Seal form concretely is divided into relatively static combining static seal and the relative motion between the surface and surface dynamic seal between the two groups. According to the working pressure, it can be divided into static seal of low voltage static sealing and high pressure static sealing. Commonly used in voltage static sealing material is qualitative soft, wide gasket sealing gasket, high pressure static sealing material with a hard metal gasket, contact width is very narrow. According to the seal for relative motion of the zero parts whether contact with, can be divided into contact seal and non-contact seal. In general, sealing of contact seal is good, but restricted by friction, wear, at a lower line is suitable for sealing surface. The seals in the contact seal contact position and can be divided into circular radial sealing and end face sealing. 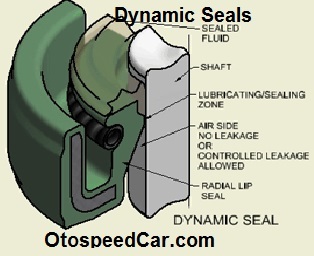 End face seal is also known as mechanical seal. 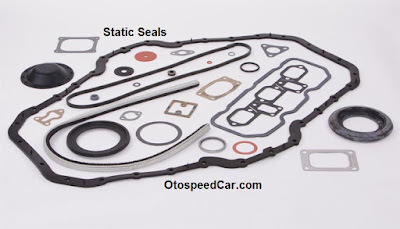 Non-contact dynamic seal a labyrinth packing and dynamic seal, etc. The former makes use of throttling effect of fluid in the gap to limit leakage, leakage is larger, often used in interstage seals and sealing; Demand is not high. Dynamic seal with centrifugal sealing, floating ring seal and spiral seal, etc., is produced by power element pressure head to offset the pressure difference on both sides of the seal to overcome leak, it has high sealing, but energy consumption is large, and difficult to obtain high pressure head. Non-contact seal, do not contact directly because of the sealing surface, starting power is small, long service life.